The amazing Heather Young and Kelvin of Paris Refugee Ground Support ensured vital aid reached people surviving rough living on the streets of Paris. December 18th 2017 Warm clothes, boots and shoes, tents and sleeping bags from DRS and vegetable donations from Pak Foods Derby - all safely delivered in the dark to L'Auberge de Migrants in Calais. Baby and children's warm clothes, nappies and sanitary products etc will be on their way to Dunkirk Women's Centre. On 26th January we had a fantastic night celebrating the life of Robert Burns at DRAC In Derby. Organised by Rachel and Steve with lots of help from Moyra, Sue, Lawrence, Janet and others, guests were treated to an evening of delicious haggis, tatties and neeps and entertained by live music provided by Brian, Heather and ...an actual piper! Poetry and speeches were performed by Steve, Moyra and Julie and the evening finished with dancing! There was unanimous agreement that Steve Cooke has an alternative career waiting as a haggis botherer! On 27th January 16 DRS volunteers braved the wet, windy, soggy, boggy weather to hike through the hills from Matlock to Matlock Bath! On a wonderful trip organised by Bea there was everything you could want on a day trip in the U.K......lashing rain, howling wind, chips, cake and a damp dog! Behind the Pavillion, among the ducks and the gardens, a steaming BBQ was provided by Addo and Muayash to round off what had been quite an adventure! We're sharing the space with another great local organisation, Muslims in Need. Having done 4 containers to Syria together already, we know we work well together and are really looking forward to strengthening the relationship and working together on future projects. DRS would like to say a massive massive THANK YOU to everyone who was involved in making this happen. 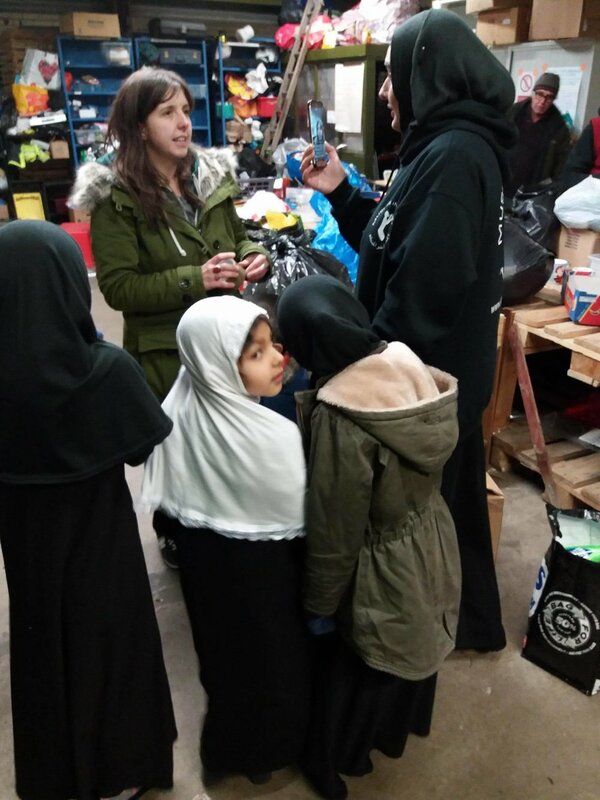 Particularly, we'd like to thank LE Solidarity and Friends of Refugees Bedfordshire who helped us fund the container and provided absolutely loads of children's winter clothing packs. And of course, the incredible Muslims in Need, without whom none of this would be possible. 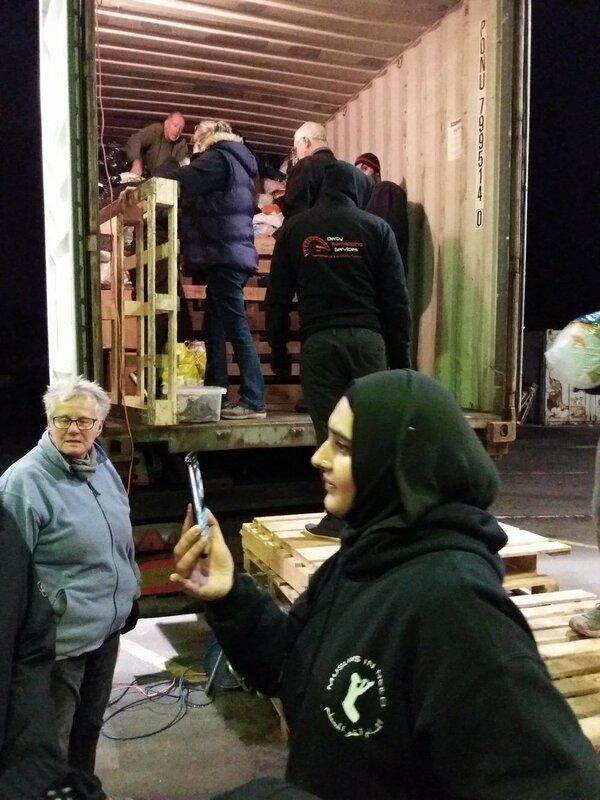 They work tirelessly to help people living in war torn places and refugee camps, and send regular containers from the UK to Syria. The container should take roughly 4 weeks to reach Syria where Muslims in Need work with 2 ground organisations - Hope Foundation and One Solid Ummah. The donations will be distributed in various locations including Idleb City, rural Latakia, rural Aleppo and Atmeh refugee camps. Distribution is often done via a free charity shop, where families have their needs assessed, and then get given vouchers which they can spend in the free charity shop. Some donations may even make it to an orphan village run by Muslims in Need and OSU, where they have 60 homes, a school, a mosque a community centre and a clinic. 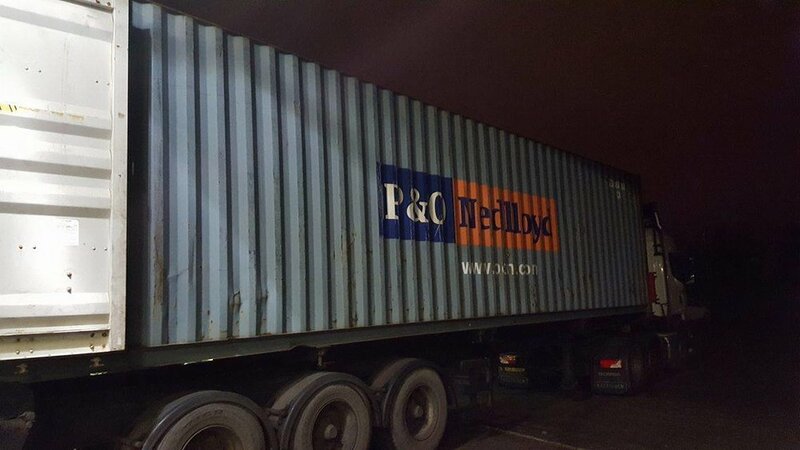 We are really proud to work with these guys and so again, huge thanks to them and to all of you who have helped with donations, sorting and packing everything on to this container. It's been an incredible project. 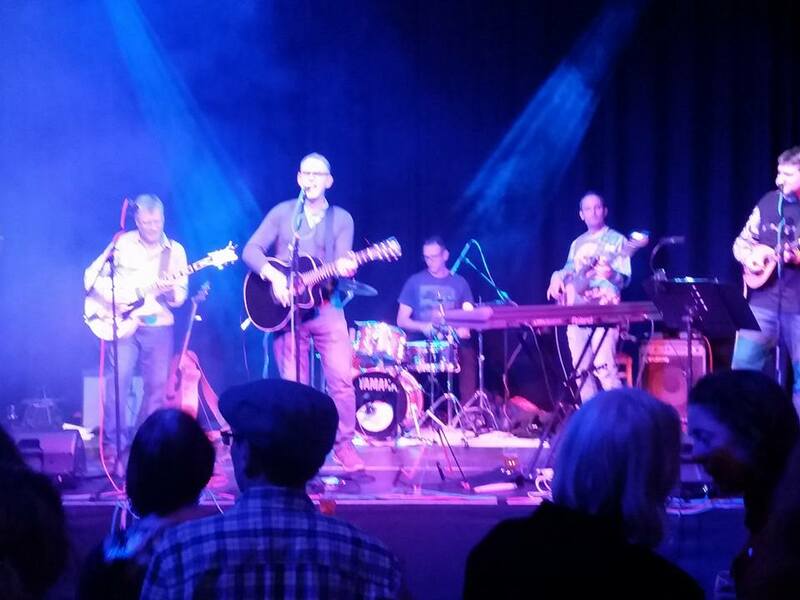 So last night was the big fundraising event at Wirksworth Town Hall, and what a great night it was. 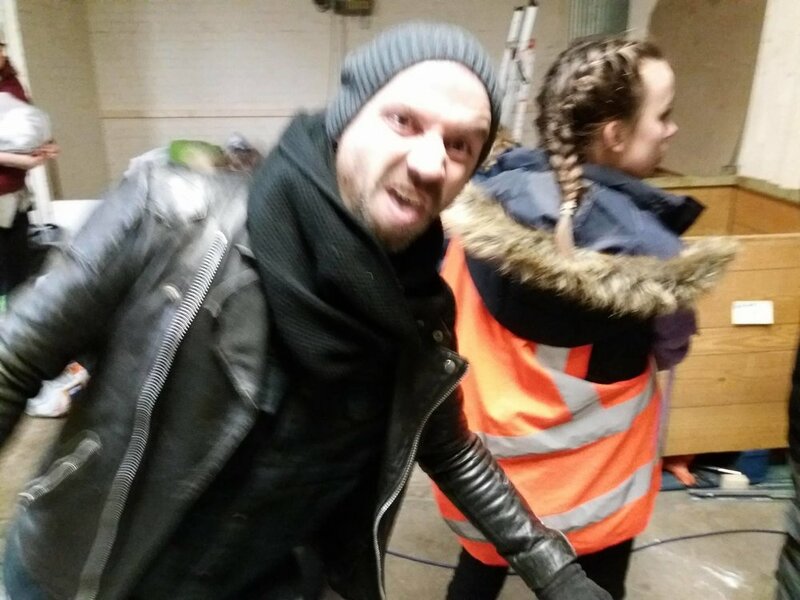 We would first of all like to give a massive shout out to Craig Banks who organised the whole event and put so much work and passion into making it a huge success. 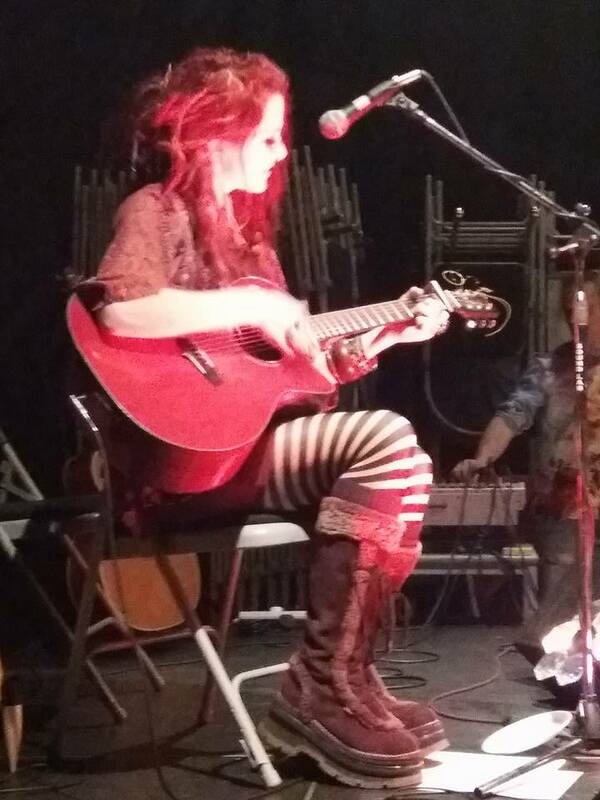 The evening was filled with some amazing, talented, beautiful acts who all did it for the love. The night started off with the beautiful voice of Robyn Wallis Johnson and was followed by the blonde beauties that are The BIG Enjoyment, usually a 4-piece but last night they were 3. They come from Belper and went down a storm with the audience who showed their appreciation by getting to their feet and dancing. The truly talented Carol Fieldhouse then performed some of her gorgeous songs, followed by Tim Tam Thomas. 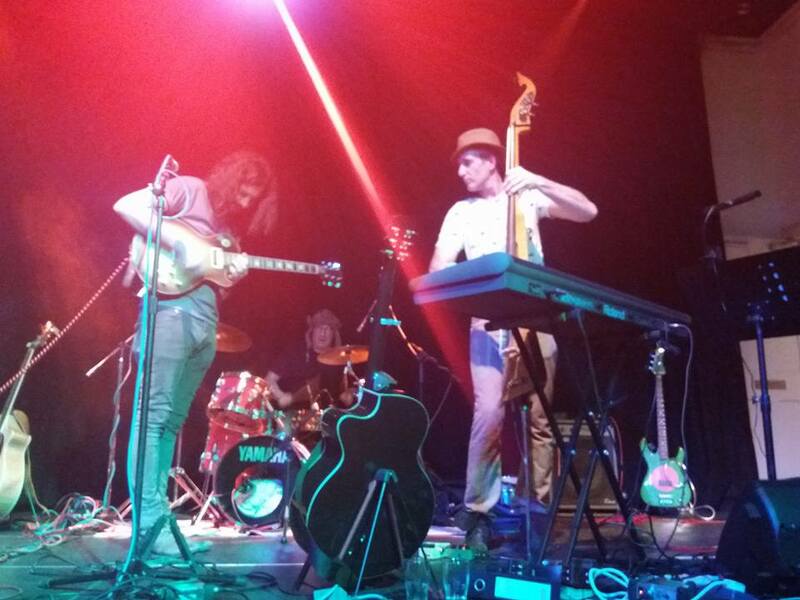 Lunadogs, a great band from Nottingham, then got the crowd back on their feet and rocked the crowed with a brilliant set. 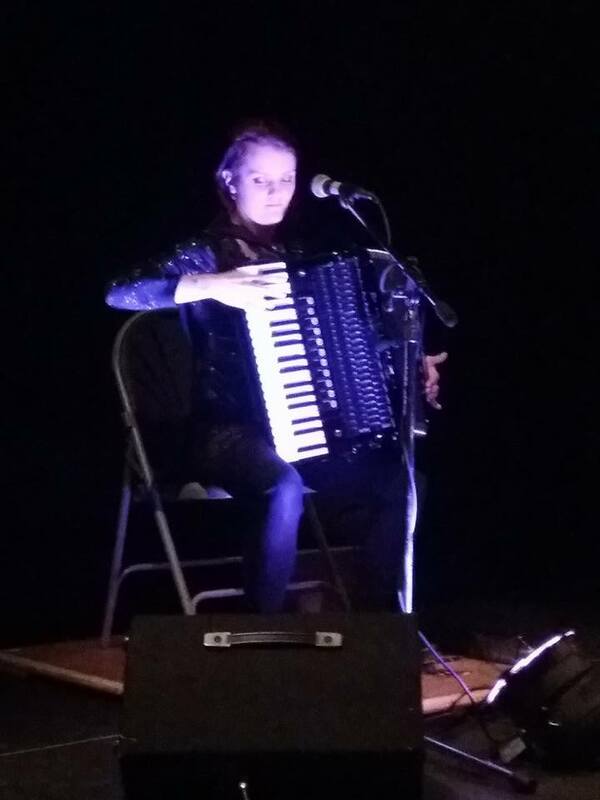 Then for the treat of the night, Hannah James, sang a beautiful set while playing the accordion and using a wooden board and clogs to create a truly amazing sound. The audience loved everything she had to offer and it was an honour to have her sing for us. Then before the last act, our very own Cath Hollywell got up and said a few words about DRS. She outdid herself with a beautiful little speech about who we are and what we do. Then to finish off the night one of the local favourite bands, The A52s, took to the stage and played a great set to get everyone dancing. The whole night was presented by the wonderful Denise who seamlessly introduced each act and kept the night on track. 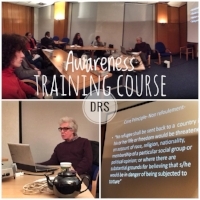 DRS would like to say a huge thank you to everyone who helped out and contributed to the event. Not only did we have a flipping amazing time but we raised a load of cash for DRS whilst spreading awareness of the refugee crisis and what we can all do to help. UPDATE (17.12.16) - unfortunately our trusty ambulance has died a death and won't be able to take us on this trip. We are hoping to find an alternative way to get the aid we have collected out to France asap. We'll keep you all posted. On the 16th December, we'll be heading to Calais to deliver aid to the Care 4 Calais warehouse. Some of it will be distributed in and around Calais, some will be taken by volunteers to a warehouse in Paris to be distributed on the streets of Paris where hundreds of refugees are arriving daily. 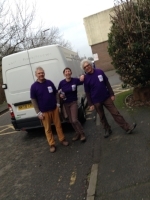 The team will also be going to the camp in Dunkirk to buy vital supplies with money raised by St Werbergh's Church. Our warehouse will be open on Tuesday 13th and Thursday 15th from 9.30am until 12.30pm to accept donations (please see events for more details). Firstly, DRS would like to say a MASSIVE thank you to everyone who has taken part in this project. The response has been enormous. 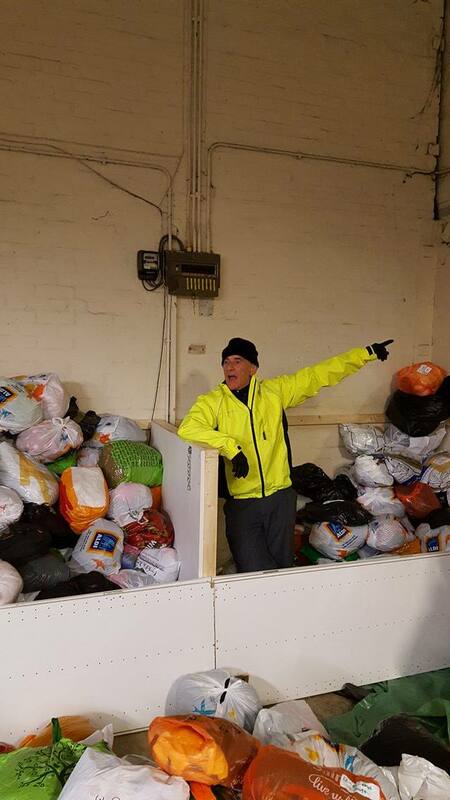 So many kind people have made up packs at home, collected at their local schools and churches, held packing parties, trawled through charity shops for coats, gloves and hats and spent hours in a freezing cold warehouse sorting clothes into ages and then making more packs up. It’s been incredible. The aid we’ve collected as part of this project was intended for Lebanon, where many Syrians are currently living as refugees, having escaped the conflict in their home towns. So, it is with a very heavy heart that we have to announce that due to a number of reasons, it’s become almost impossible to get containers into Lebanon, and a nationwide decision has been made to redirect all planned containers to other places. As a result, and with the help of Muslims in Need, we have taken the decision to send all of the children’s winter clothes packs that we’ve received and made (in excess of 2000!) to Syria. There are many children there in great need, and the winter is harsh, so we can all be sure that the effort we have gone to to make these packs has not been wasted. It is likely that we will be able to organize a container to send all these incredible packs within the next 2 weeks. There will also be food and some extra clothing and bedding added. This aid is very much needed in Syria. We will keep everyone posted with the date of the container filling, so everyone has the chance to come and see all that hard work paying off, and help load everything onto the container. Thanks again for all your amazing support and hard work. A group of either very brave or stupid people have decided they want jump (abseil) of the top of the Jury Inn, Derby, in the aim to raise a whole load of money for Derbyshire Refugee Solidarity. And also show support by donating some money to this great cause who all the participants are doing this crazy abseil for. Support the cause fundraiser here.